America's biggest automaker GM wants to come back to the Russian low-budget car market, but it may need to rebrand its vehicles and deliver them via Uzbekistan, reports Life.ru. GM was forced to leave Russia in 2015 due to US-imposed sanctions against the Kremlin. The carmaker may return using the GM-Uzbekistan subsidiary, and is negotiating with a Russian Derways plant, which assembles Chinese cars, the media reported. 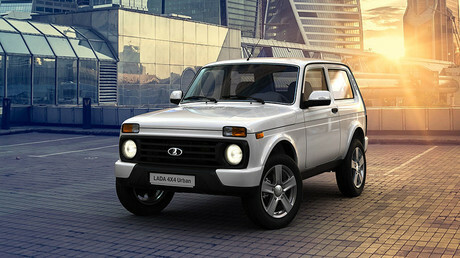 If the talks are successful, GM-Uzbekistan will deliver low-budget Chevrolet cars to Russia under the Ravon brand. The Chevy Cobalt will be rebranded the Ravon R4, the Spark - Ravon R2, the Aveo - Ravon R3. The Nexia and the Lacetti hatchback would be named the Ravon Gentra. The cars are sold as Chevrolets in Uzbekistan and exported under the Ravon brand. “Since October last year, the Uzbeks are looking for a Russian partner to organize the industrial assembly of Ravon cars. The Derways plant is being considered. I must say, the decision hasn’t been made; the talks are in progress,” a source told Life. A Ravon spokeswoman did not confirm the negotiations with the Russian plant. Seventy-five percent of GM-Uzbekistan belongs to the government of the Central Asian country with the rest being owned by the US car producer. “Ravon can fill the niche of low-budget cars on the Russian market…The low-budget car's market is quite big, and B-class automobiles sales surged despite the overall decline," said VTB Capital automotive market analyst Vladimir Bespalov. In 2015, General Motors significantly cut its presence in Russia, scrapping sales of low-budget Opel and Chevrolet cars. The company is now officially selling only premium brands like Cadillac. Last year, GM sold 10 million cars for the first time in its history, as strong sales in China made up for slower sales in the US. GM is the third-biggest automaker in the world behind Volkswagen and Toyota.